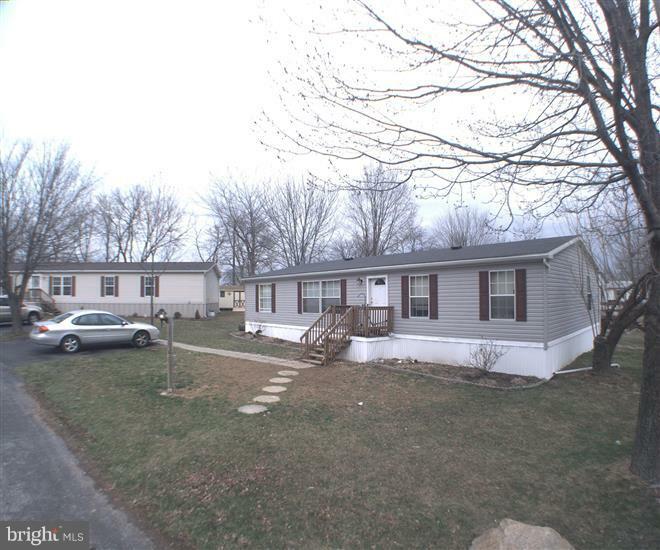 All Orefield homes currently listed for sale in Orefield as of 04/22/2019 are shown below. You can change the search criteria at any time by pressing the 'Change Search' button below. If you have any questions or you would like more information about any Orefield homes for sale or other Orefield real estate, please contact us and one of our knowledgeable Orefield REALTORS® would be pleased to assist you. "Luxurious Custom-Built Gem with Pride and Emotion of the Design that will give you Serenity, Security and Sumptuous Living! This unique home is nestled on the very first corner lot with 1+ acres, in-ground pool and over 7000+ finished sq ft. that feature 7 bedrooms, 5 full baths and 2 half baths! Exceptional foyer upon entry with marble floors, oak hardwood and rounded tray ceiling with elegant chandelier! Formal living to the right and formal dining to the left. Thoughtfully designed chef's kitchen features butler's pantry, 2 islands, dining area, granite counters, ample cabinets and more. Magnificent master suite with fireplace, sitting area, separate office, luxury master bath with plenty of amenities. Lavish and Fully finished basement that offers extended in-law quarters with full kitchen, bath, living room, exercise room, recreation/2nd great room, laundry, plumbed wet bar area and so much more." 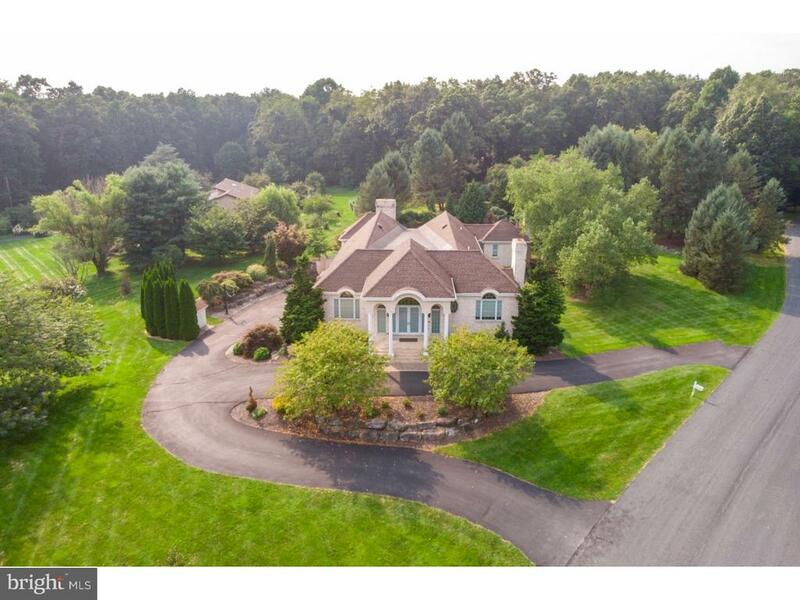 "This Fabulous Brick Custom Colonial with 4-5 Bedrooms, 4.5 Baths is gracious yet comfortable w vistas in every direction!. Situated on 1.5 acres of manicured lawns, with Fruit Trees and located at the end of a cul-de-sac. 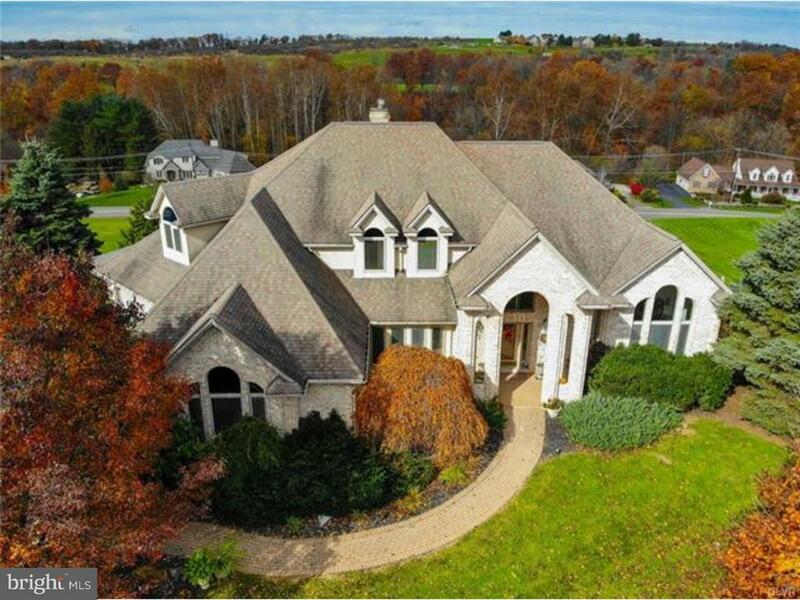 The first floor includes a 2 story Foyer, Formal Living room w/ fireplace, Formal Dining room, Master Bedroom with just installed beautiful hardwood floors, Office, HUGE Kitchen w/ all top of the line newer appliances, eating area, Gentleman's bar and beautiful family room w/ fireplace off the kitchen. The second floor includes 3 bedrooms each with their own baths. There's a 1500 square foot walk-out basement that is finished and a 5th bedroom on that level. This home is well designed with an abundance of amenities. Other features include front & back stairs, gleaming hardwood floors on the first floor, a covered Deck, Lower Level Patio, 2 Zoned Central Air, 5 Zoned Oil Heat, & 4 CAR Garage! Fabulous Neighborhood!" "Custom built 4 BR/ 4 bath all brick home nestled on a 1.35 acre corner lot in Apple Valley Estates. This lovely home features 18' high Foyer w/ dramatic circular stairway, tray ceilings, crown molding & 1 story elevator. Gorgeous LR boasts a gas fireplace, HW floor & 11' ceiling. Gourmet kitchen offers double ovens, ample cabinetry, walk in pantry & oversized island w/ seating which opens to the family room. 1st floor MSTBR retreat includes a 17x12 Master Bath w Jacuzzi, oversized walk in shower, double vanities, WIC & private side porch. Also on the main level is a formal dining room & office w/ elevator, laundry room & half bath. 2nd floor hosts another Master BR or princess suite w/ private bath, 2 additional bedrooms w/ Jack & Jill Bath, & separate bonus room. Full unfinished basement can be finished for additional living space. Beautiful landscaped yard w/ expanded patio, oversized 3 car garage & circular driveway. Easy access to Rts 309,I-78, 22 & PA Turnpike. Must See!!" "Fall in love! 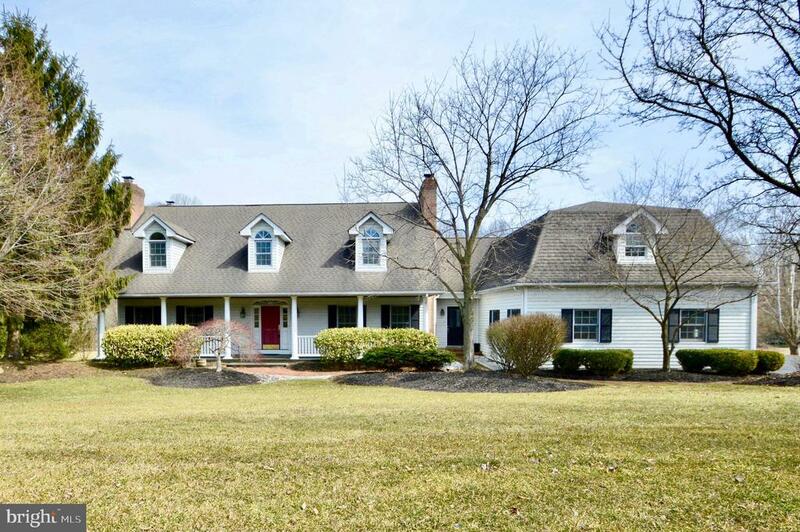 Spacious 2 story New England Cape Cod style home w/ covered front porch situated on a fabulous 1.67 acre tree lined lot, backing up to Jordan Creek. Parkland School District! Quality built home offers 5000 SF of living space w/ bright & lovely 1st fl Master bedroom suite. 2 story entry foyer w/ formal sunken living room to the left & formal dining room to the right. Both rooms have a lovely fireplace & crown molding. Large modern eat-in kitchen w/ granite & corian counters, SubZero refrigerator & separate eating area, open family room w/ fireplace & built-ins which opens to octagon shaped sunroom w/ tile floor & wood ceiling offering wonderful views. 2nd fl boasts 4 nice size bedrooms, ensuite bath & hall bath w/ double vanity. 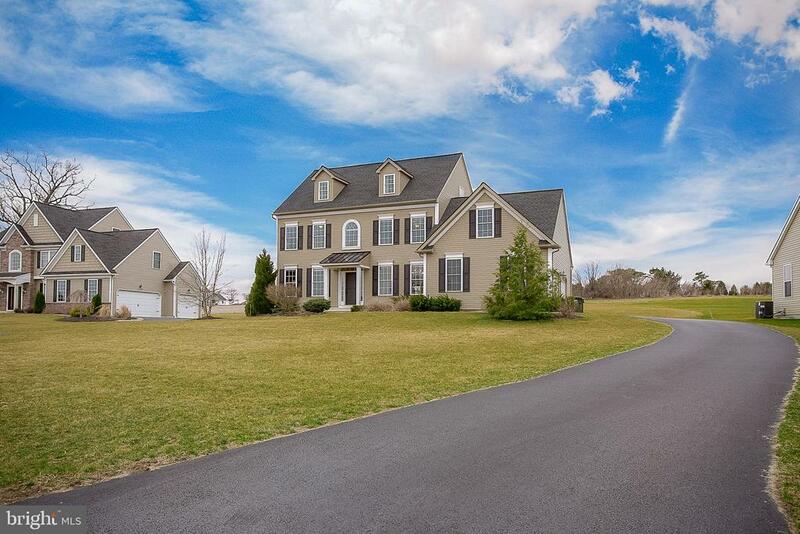 Enjoy movie night in a large media room w/ half bath & back staircase. Oversized 3 car garage. Backyard feat. your dream deck reaching from master bedroom to the sunroom. Ideal for relaxation & entertaining. Welcome home! Go for your showing today!" "This Parkland school district move in ready home is exactly what you are looking for. With 4 bedrooms 3.5 bath and over 3000 sqft of living space what more could you ask for. 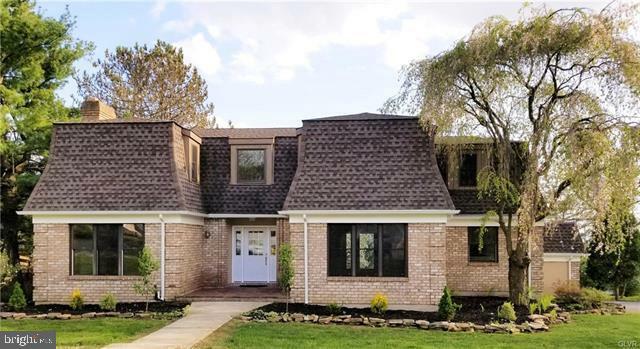 Updates galore including granite countertops hardwood floors, backsplash, fireplace, and neutral paint colors make this home a Move in READY GEM. This home sits on a beautiful lot that is over a half acre and is located in a cul de sac and backs up to fields. Don't miss your opportunity to see this stunning home!!" "In a world of ordinary, it's hard to not be stirred by this custom built European-styled charmer. Set on a lush corner lot in the idyllic Green Hills community, this house is a perfect combination of architectural interest and modernity. The stunning kitchen features bespoke cabinetry, beveled subway tile, intricate molding, granite composite sink and GE Caf~ stainless steel appliances. The quartz-topped island pops in the center of the brightly lit room. The kitchen layout was thoughtfully designed for both special occasions, as well as, every day use. The living room and kitchen have doors that open onto the patio for indoor/outdoor enjoyment. Red oak flooring flows throughout the entire main floor of the home. Upstairs in the owner's suite, you will find a walk-in closet and a luxurious bathroom with a secluded balcony. There are three additional bedrooms with hardwood floors and terrific natural light. 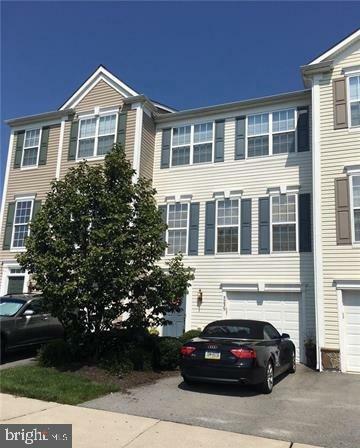 This home is a pristine palette for your personalization"
"Located in Lehigh County, this 2005 Redman Stonecrest 26x50 DBLWDE is in Lil Wolf MHC, an all-age community. Upgrades in the last 2 years include fresh interior paint, new carpets, new toilets, new ceiling fan in Kit/LR, new master bath vanity/sinks, new appliances which stay! Friendly pet rules allow many large breed dogs! $735 mo lot rent includes W,S,T, plus pool, clubhouse, party room, playground, picnic area, basketball, and amenities. On-site storage units and RV parking available too. Conveniently located 1 mile from schools, 6 miles from shopping/dining and nearby highway access for easy commute. Occupied. see 28 pics."